Estate planning can save your family from stressing about details and give them more time for the things that matter– being together and healing. Get Help From Lawyers in Atlanta, GA Today! For A FREE And CONFIDENTIAL Consultation, Share A Little Bit About The Issue You’re Going Through Or What Service You’re In Need Of. Many people are confused when it comes to wills and estate planning. Most people find themselves Googling “what is estate planning” or “what are trusts and estates.” Perhaps that’s how you found yourself here. 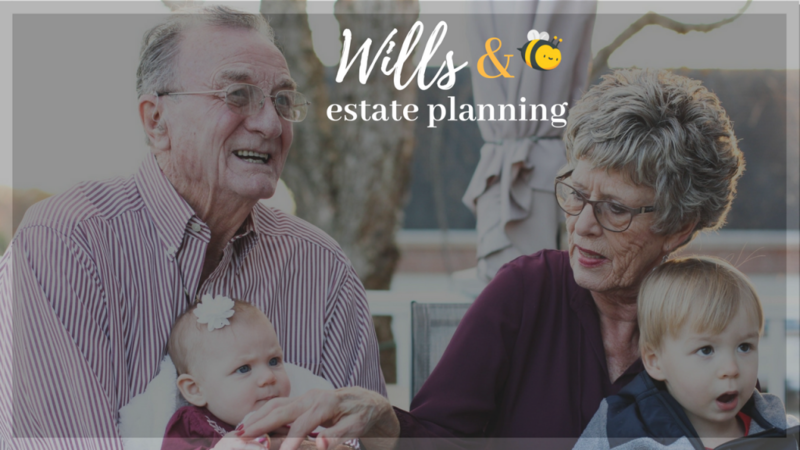 This blog is going to go over the basics for estate planning and other related topics such as elder law, how to probate a will, and what is a living trust. Estate planning is the act of preparing the transfer of one person’s wealth and assets after their death. Assets include, but are not limited to, their real property, insurance money, personal belongings, and even debts. Regardless of your age, health, or wealth, creating wills and estate planning in general are highly encouraged. Having a plan set in place in advance is the only way to ensure that your assets are being passed down the way you intended. It also can prevent future fighting amongst heirs and lower attorney and court costs for your family in the future. Maybe you’re wondering why is estate planning important. Some people think it’s only a “rich people” thing and fail to realize that if you have any assets at all, you need estate planning. If there is no plan in place for what happens to your things after you pass, it is ultimately left up to the court to figure it out. That means your house could end up with a cousin you weren’t particularly fond of or your kids are left fighting among one another on who gets your vintage Mustang. A huge part of estate planning is designating assets to your heirs. Wills and estate planning also help you during the unexpected. No one plans on dying young, but if both you and your spouse pass before your child turns 18– who will take care of them? Are you willing to leave it up to chance? Or do you want to have it written down in your last will and testament that your old sister will take over? If not, it will be up to the courts to decide. You’re able to transfer real estate with minimal taxes with just a little bit of planning! You could reduce a significant amount of your state and federal estate taxes or state inheritance taxes. This is a great help for your beneficiaries and can save them tons of money they would’ve otherwise owed to Uncle Sam! We’ve compiled a checklist of some things to consider and get taken care of when estate planning. 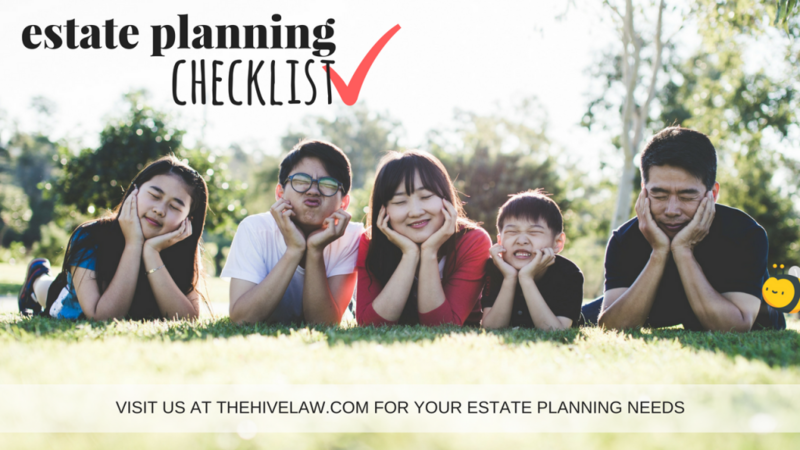 Checklists are helpful and provide a great roadmap– so hopefully you’ll find this helpful and beneficial to your estate planning process. Most people are aware of the functions of a will. It is a written document that explaining what will happen with your property in the event of your passing. It can also name a guardian for your children in the event both you and your spouse pass. This is where you say who gets what. A trust isn’t as common as a last will and testament, but that doesn’t mean that it’s not beneficial. Trusts are usually used to minimize estate taxes and avoid probate, which can be a time-consuming and expensive process. Sometimes it’s wise to write out your wishes for your health care in the event that you’re unable to make medical decisions for yourself anymore. This includes a “living will” and a power of attorney for health care. With a durable power of attorney for finances, you’re able to give someone the authority and power to handle your finances and property if you become unable to. Make sure it’s someone you trust a whole bunch! If you have children, or plan to have children, you’ll want to name an adult to help safeguard any money and property your minor children may inherit from your passing. This is a step most people don’t think about yet can be the most helpful. Naming a beneficiary on a bank account and retirement plan makes the account automatically “payable on death” to the names beneficiary. This allows the funds to skip the probate process– kind of like the trust! Consider investing in life insurance if you haven’t already! It could really help out your family, especially if you have young children or you own a house. Funeral prepayment plans are sometimes unreliable, so we suggest setting up a payable-on-death account and deposit funds into it to for your funeral and other expenses– such as any probate costs! If you have your own business, it’s time to start thinking of your succession plan. And if you own a business with a partner, be sure to have a buyout plan in place. Keep your documents somewhere safe and organized. Your attorney and the executor of your estate will need these documents when you pass. Make this task as easy as possible so your family can focus on healing and moving forward. A will and testament is something that most people know about, but some aren’t familiar with the Georgia requirements for wills and estate planning. Keep these in mind before meeting with an estate and wills lawyer in Atlanta. Testator must be at least 14 years old (testator is a person who has given a will). Testator must be of sound mind and memory. Because some people aren’t familiar with the requirements, benefits, and drawbacks of estate planning, it can sometimes make them an easy target for scammers. An increasing amount of scam-artists are targeting elders so beware these scams— one of them even involves estate planning. Once you pass, your family will have to distribute your property based on your last will and testament. 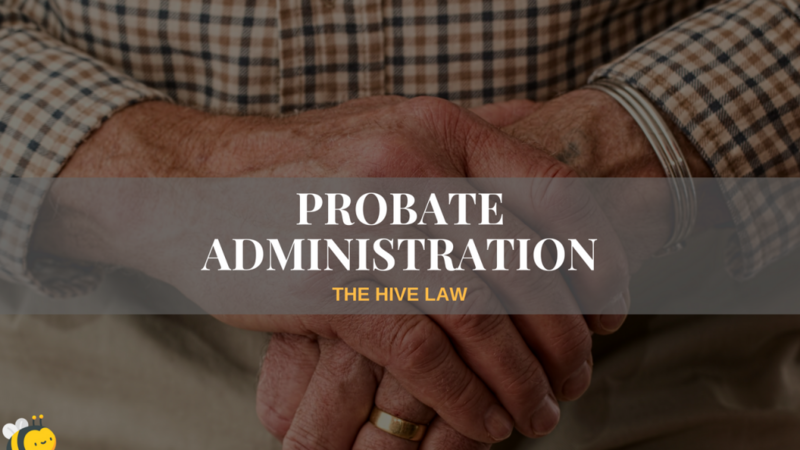 This is known as probate administration or to probate your estate. Common probate assets include: clothing, jewelry, household furnishings, cars registered in your name, and real estate registered in your name. Your will can be changed up until your death provided you’re mentally competent and meet the other requirements of creating a will and testament– remember those will requirements above? Changing a will requires a written document called a codicil, which changes the will. The alternative is to make a whole new will all together. A codicil has all the same requirements as the Georgia will calls for. 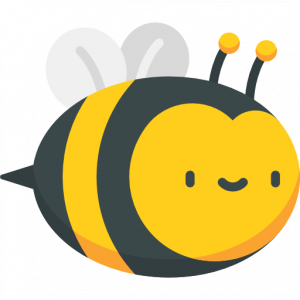 As for how to revoke a will in Atlanta, you can just make an entirely new one. Any new will and testament will make prior versions void. If you do decide to change your will, you do not have to provide notice to your beneficiaries about any edits. They have no say in your will and you don’t need their approval if you decide to make any changes. In general, a trust is a right in property that is held in a fiduciary relationship by one person for the benefit of another. The trustee is the one that holds title to the trust property and the beneficiary is the person who receives the benefits of the trust. There are several different types of trusts, but we’re going to explain the two most common and most used. You might also hear them referred to as “living trusts,” just know it’s the same thing. These trusts can be altered, changed, modified, and totally revoked by the settlor (the trustmaker). This type of trust is particularly helpful when trying to avoid probate with certain properties. The trustmaker can transfer the title of a property to a trust, serve as the initial trustee, and then has the ability to remove the property from the trust during his or her lifetime. If ownership of assets is transferred to a revocable trust during the lifetime of the trustmaker so it is instead owned by the trust at the time of the trustmaker’s death, the assets will not be subject to probate because the administration of a trust is a private matter. This trust is quite the opposite of the living trust. Once an asset goes into the trust, even the trustmaker is unable to take it out except under a few circumstances. This trust is much more permanent. So, what are the advantages of an irrevocable trust? It puts somewhat of a shield over the property from creditors. This property is no longer the grantor’s but, rather, the legal property of the trustee to hold for the beneficiaries. This can also help with taxes! Can I Create A Trust Without An Attorney In Atlanta, Georgia? The short answer is yes. You’re 100% able to create a trust or will without an attorney. This is a popular option among people with very simple needs when it comes to wills and estate planning. Some people are just natural DIYers, and that’s ok! However, for those with slightly complex wills and estate planning needs, hiring a lawyer might be the safer route. Some people want to include slightly complex elements to their wills and estate planning. That can include generation skipping, assistance with trust funding, or conditions to beneficiaries. But as long as you follow the formal requirements for your will or trust creation, you’ll be all set! It’s safe to assume that most people have not created a will in their early adulthood; people in their 20’s-30’s don’t think about dying or estate planning in general. People in that age bracket use the excuse of not having any assets to worry about yet. However, estate planning statistics show that 51% of Americans 55-64 years old have not created a will, either. Usually this is the time when people start estate planning, or at least should, in order to have ease of mind knowing their family and estate has a plan and will be taken care of. There are many misconceptions wills and estate planning and we hope that we cleared some of those up for you. It may seem boring or premature, but we want to remind everyone that your passing usually doesn’t come with a forewarning. Creating an estate plan through your Atlanta estate and will lawyer is something you should be thinking of doing no matter how many assets you have. And if you’re relying on the State to take care of that, or you assume that everything will simply go to your spouse and kids then you should really call your local estate and probate attorney. Things don’t always work out the way we want them to, but with a little planning your family will be in more secure hands. Having a plan puts everyone at ease and feel safer. 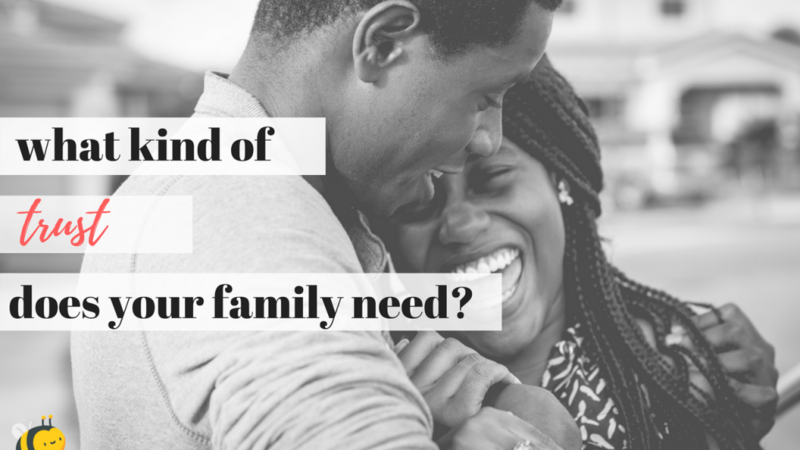 In the chaos of losing a loved one, you want to make sure your family doesn’t have to scramble to figure out an estate plan.